I see a new trend emerging. 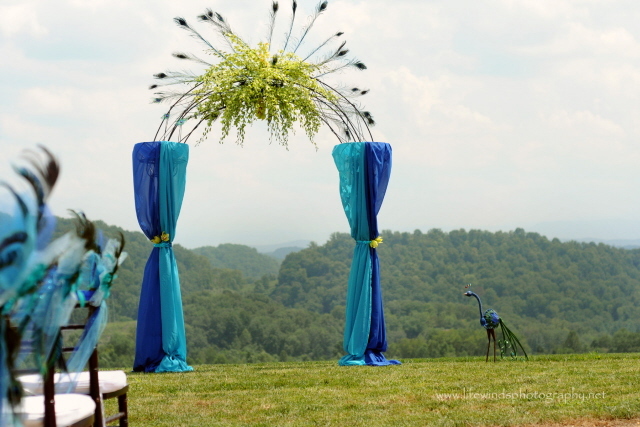 More couples are getting married and having their wedding at a later date. 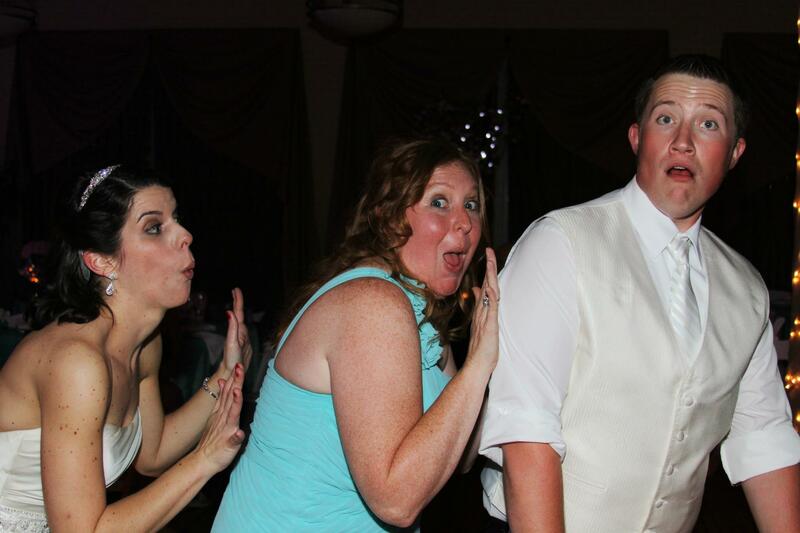 In some cases, the groom is going off to war. 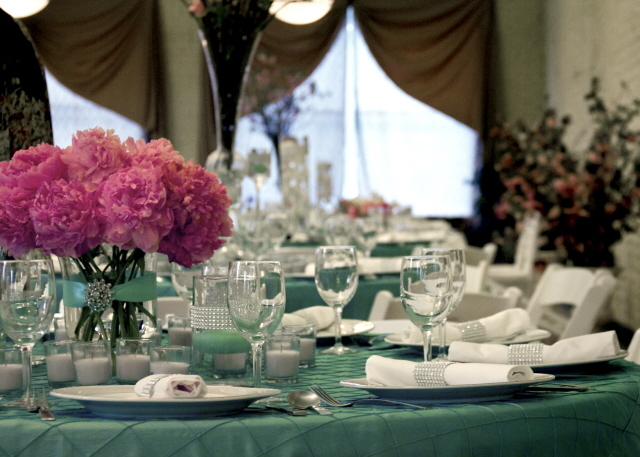 In other cases, it isn’t a convenient time to have a wedding, or the expense of it isn’t feasible at the time. 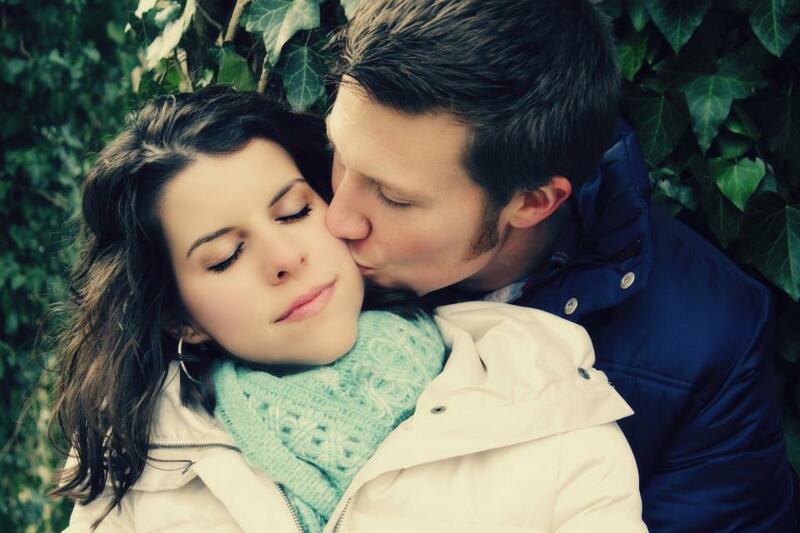 More are practicing abstinence and purity until marriage. These couples don’t want to live together before marriage, so they get married and have the wedding later. 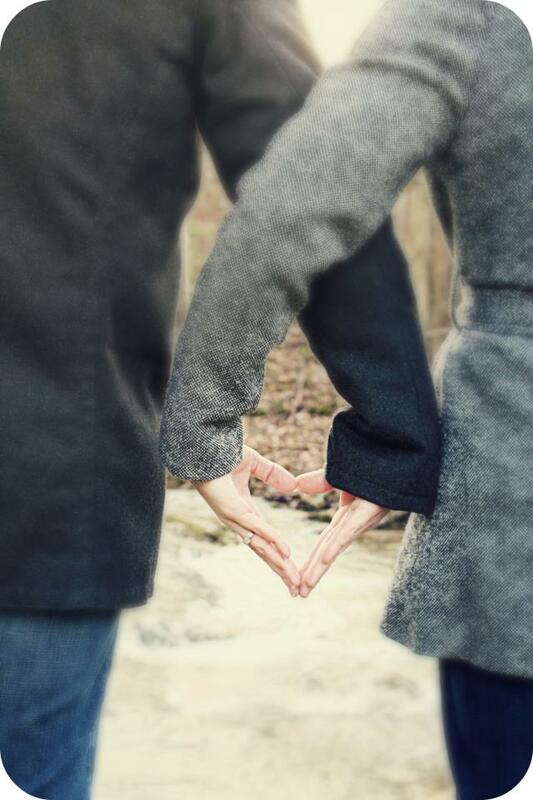 The desire to make a life-long commitment is taking center stage, placing the wedding lower on the priority list. This speaks volumes to me about the current generation. 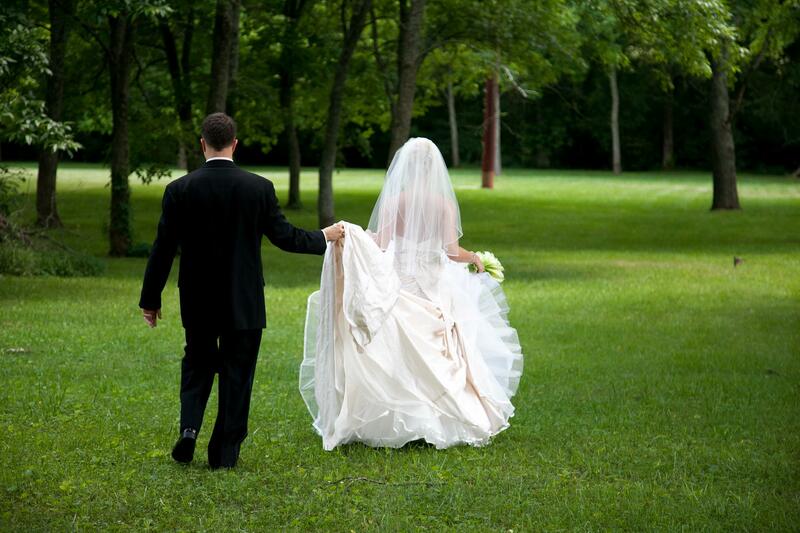 More often than not, today’s brides and grooms are victims of divorce. They know firsthand the pain that comes with that, so they aren’t entering the marriage with the flip attitude that “If it doesn’t work out, we can always get a divorce.” I applaud them for recognizing that marriage is sacred and not to be taken lightly. 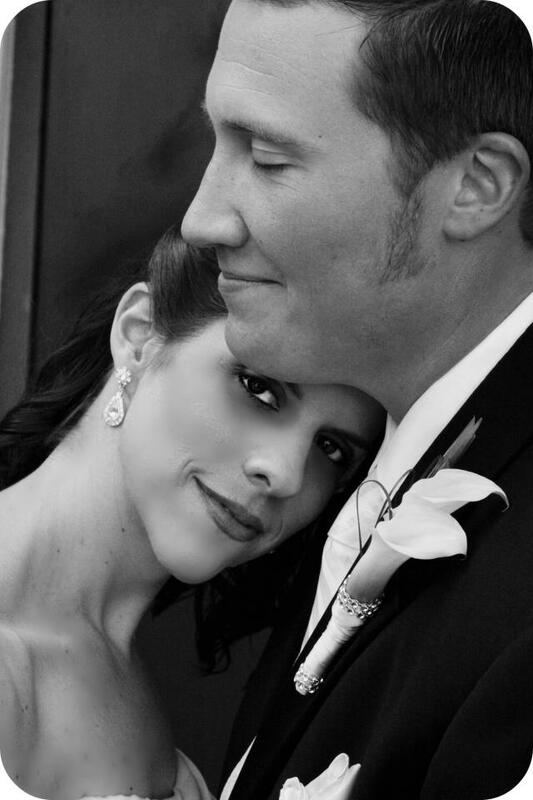 Ben and Jen got married a year prior to their wedding. 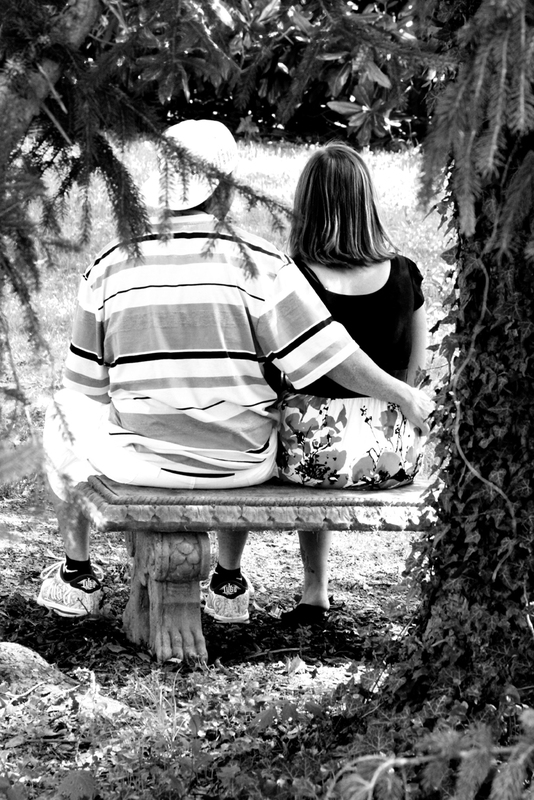 Ben had taken a job out-of-state, and Jen wanted to go with him. They didn’t feel it was right for them to live together, so they got married. 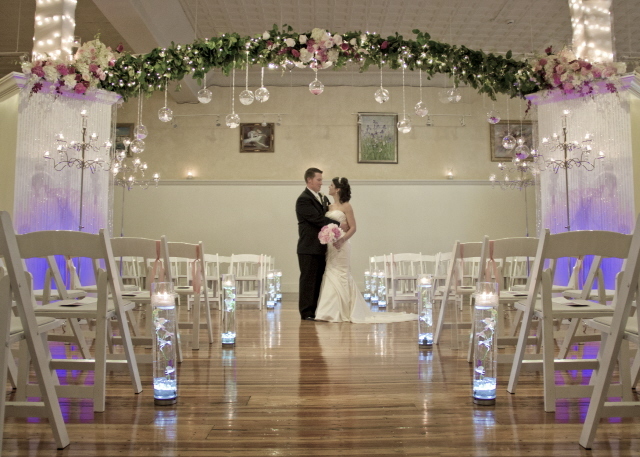 During the following year, Jen planned her dream wedding. It turned out beautifully, don’t you think? 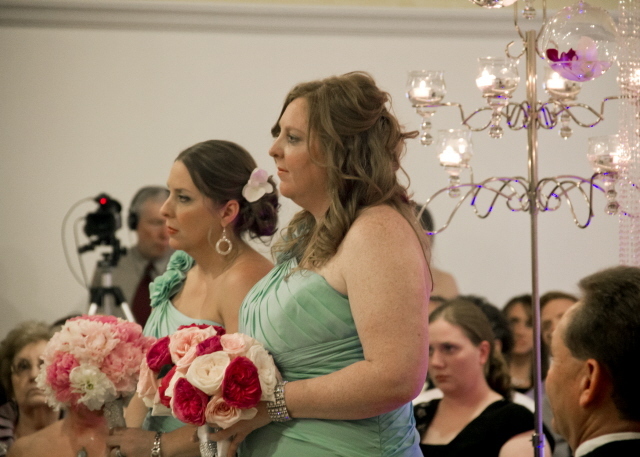 I loved the bridesmaids’ dresses. They had a southern belle look to them. 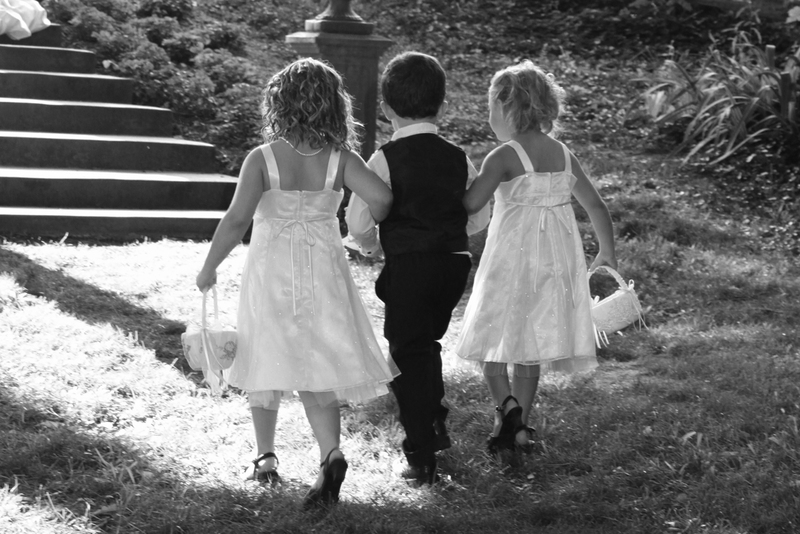 The girls carried a simple bouquet of white calla lilies. 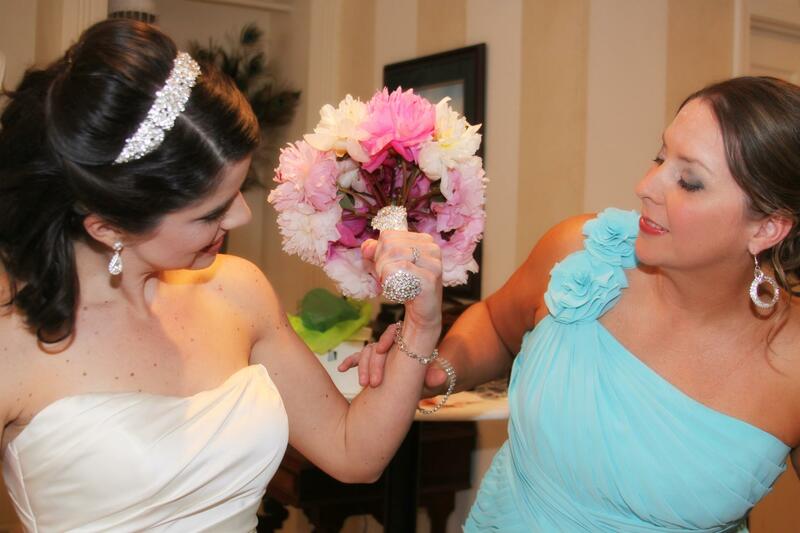 Jen’s bouquet was very elegant, just like Jen! 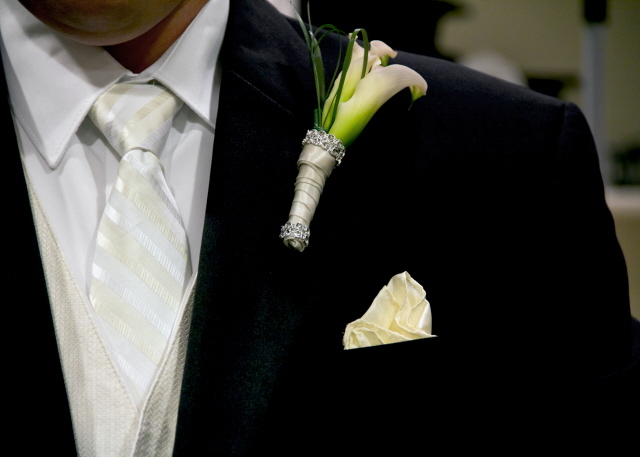 She carried a classic bouquet of white calla lilies with added jeweled adornment on the stems. 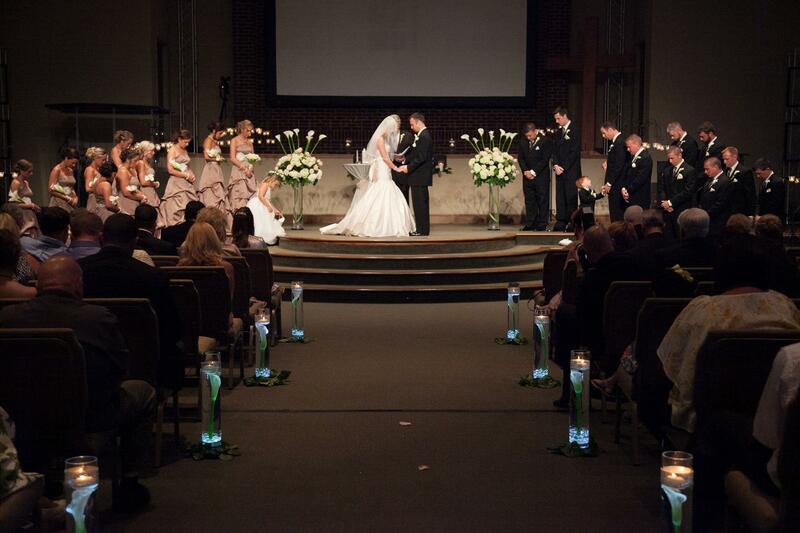 We lined the aisle with submerged calla lilies. 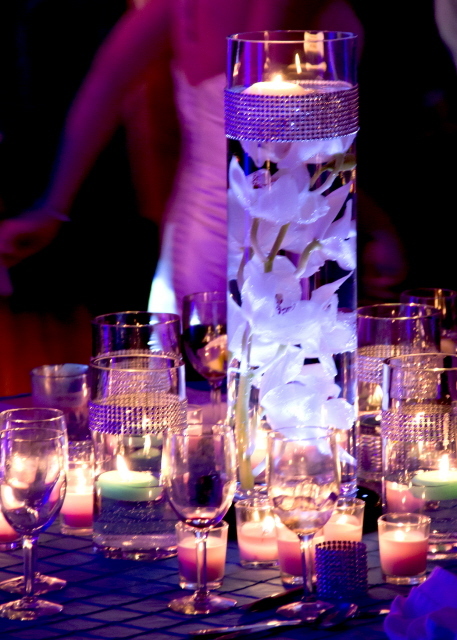 The submerged calla lilies and the arrangement of hydrangea, roses, and Callas set an elegant backdrop for the ceremony. 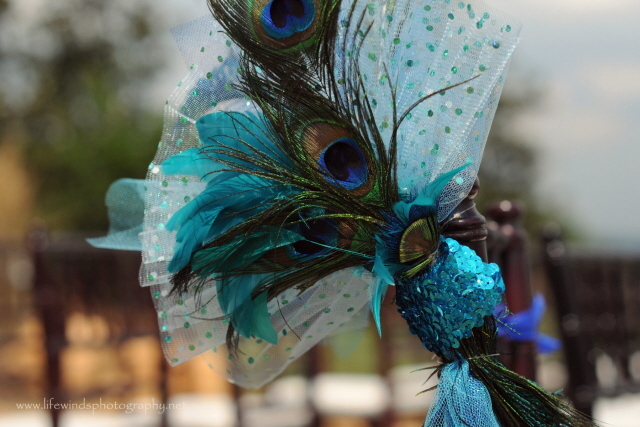 Isn’t this a beautiful photo by Rainey Day Photography? What more can a designer hope for than to make a bride’s dream come true? 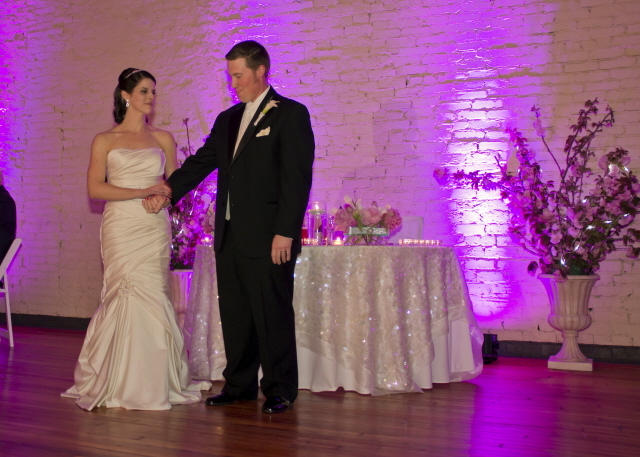 See more photos of Jen and Ben’s wedding at Pamela’s Event Design. Thank you for stopping by. Please leave comments. I would like to know who is reading my blog. I apologize for being absent for so long. 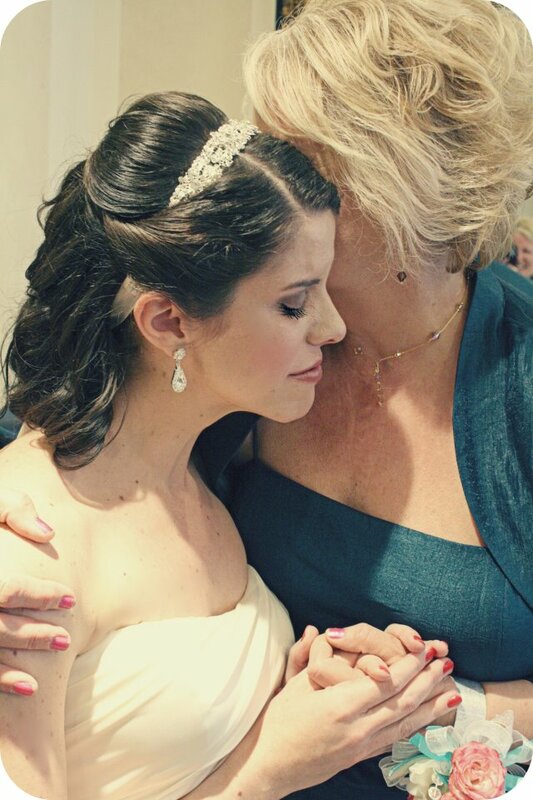 Abby’s wedding and a 20th wedding anniversary trip to Europe, along with designing weddings for other brides has kept me from having time to write any new posts. I’ve also been waiting for the images from the photographers. 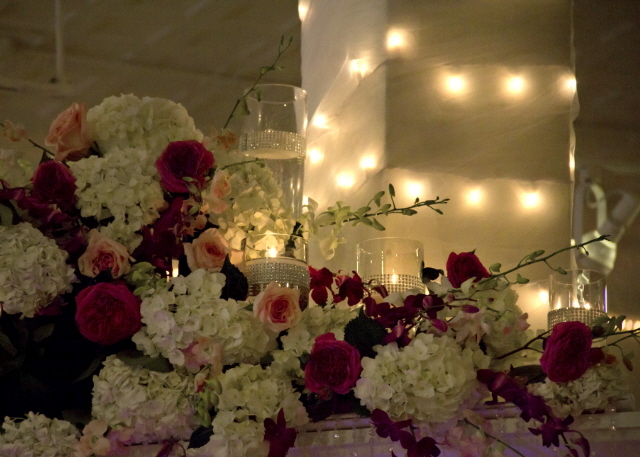 I promised some pictures of Abby and Jordan’s flowers and decorations. 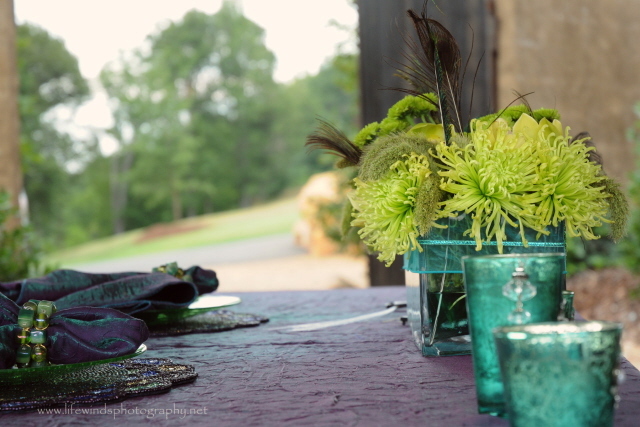 Becky Artip from Save the Date Photography did a great job of catching some of the details, don’t you think? 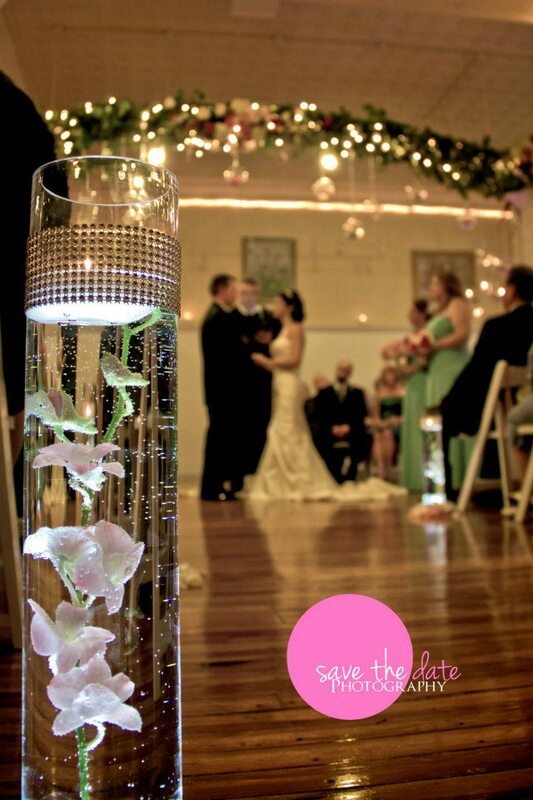 The aisle markers are Dendrobium orchids submerged in water. 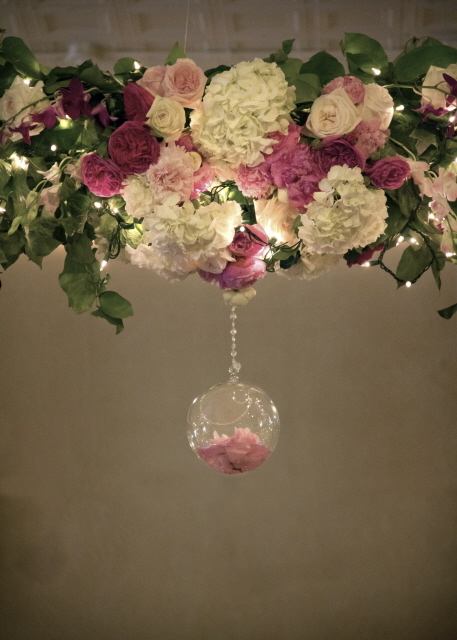 The glass balls hanging from the arch have peonies and orchids in them; some have floating candles. 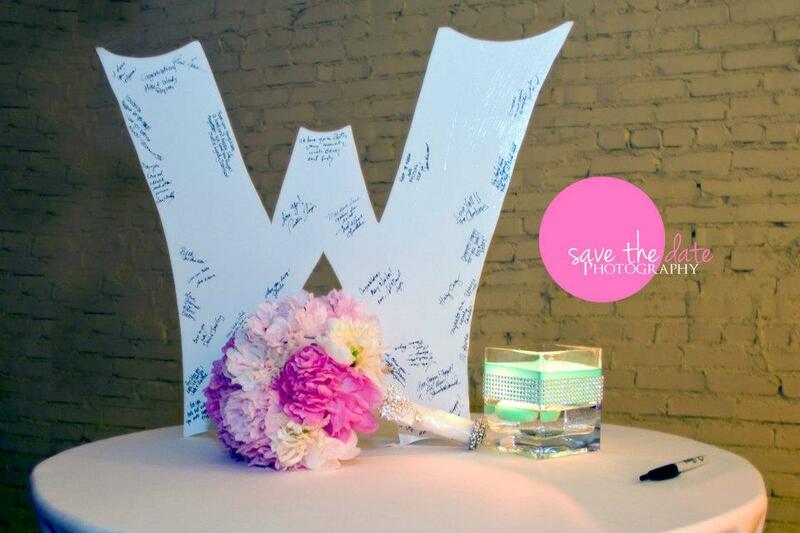 Guests signed the letter of their last name as an alternative for a guest book. They will hang this letter in their home. 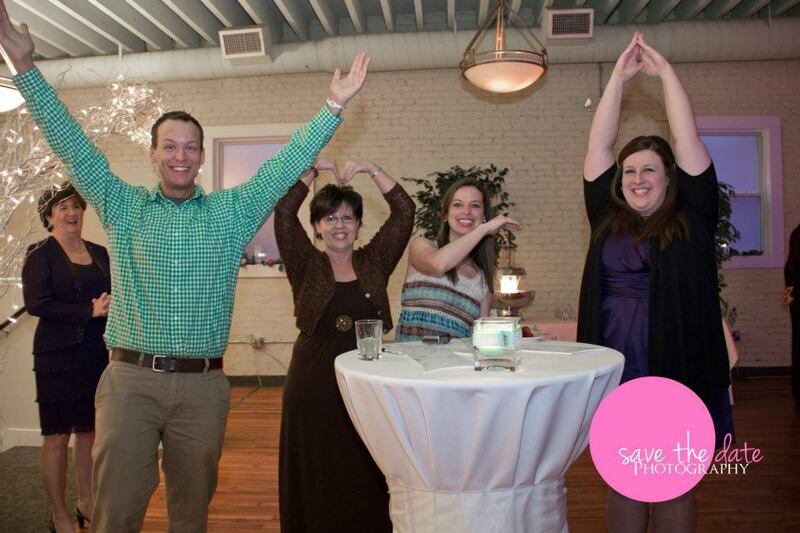 They wanted to enjoy every moment of their reception, so they were just about the last ones to leave. 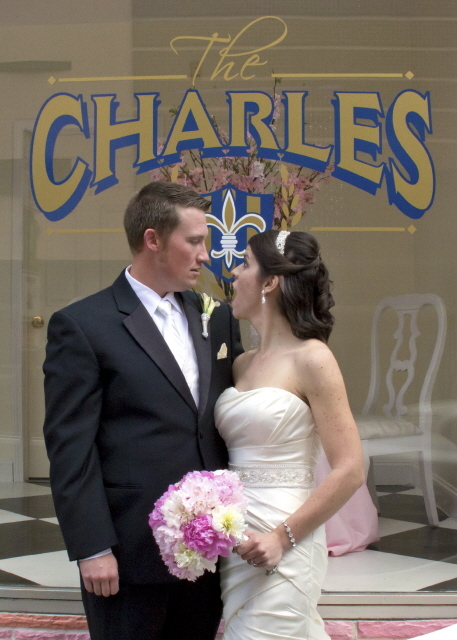 William Bailey and his staff at The Charles made everything so perfect for them! Thank you for taking the time to look at these wedding photos. 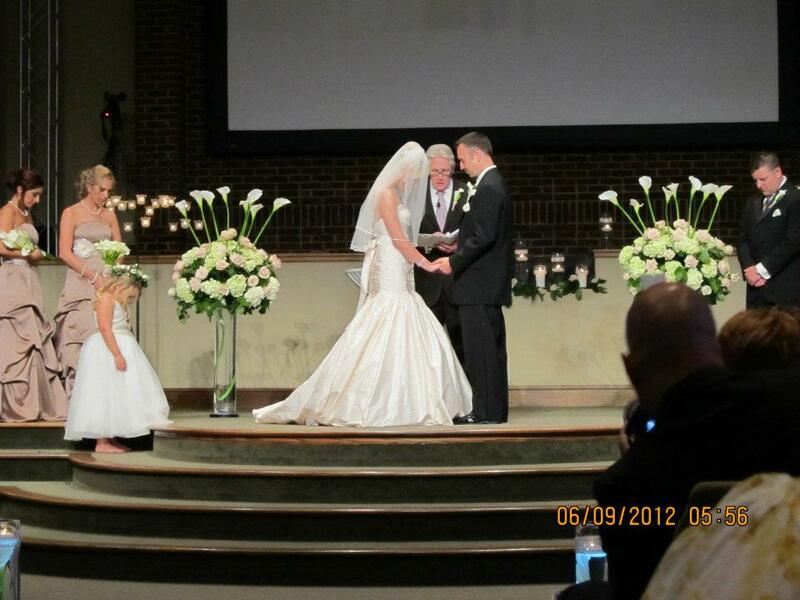 It was a very special day in our lives and I am so thrilled to share it with you. 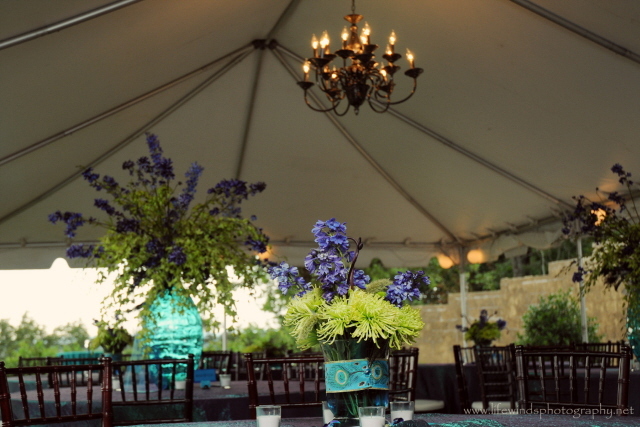 Please come back and visit again, as you gather ideas for your wedding, or if you would like to hire us to design yours. 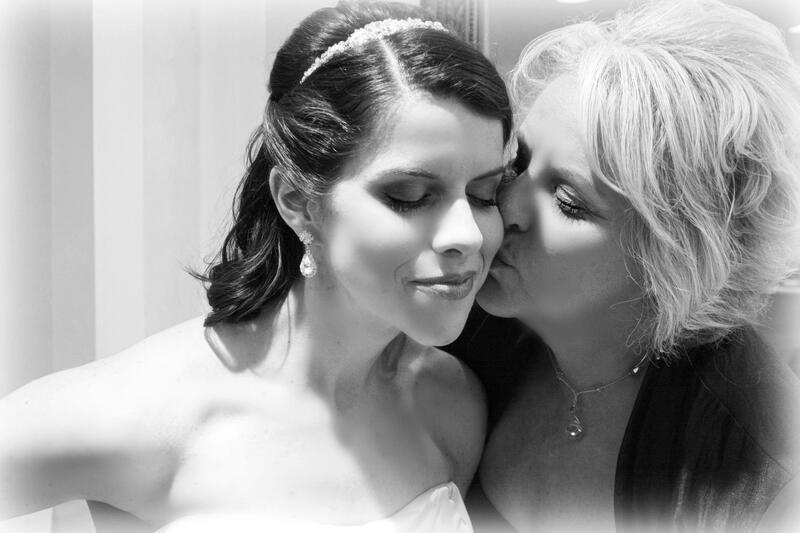 I’ve been a little busy….with my daughter’s wedding! After all the weddings we have done and I have blogged about, I finally get to share some thoughts and photos from my own, so please indulge me for the next couple of posts. 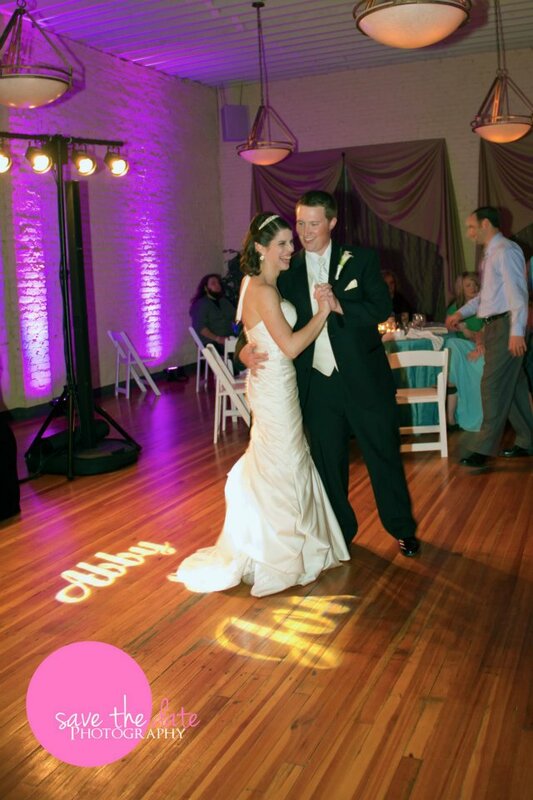 Abby and Jordan got married on March 24th, only a couple of weeks ago. 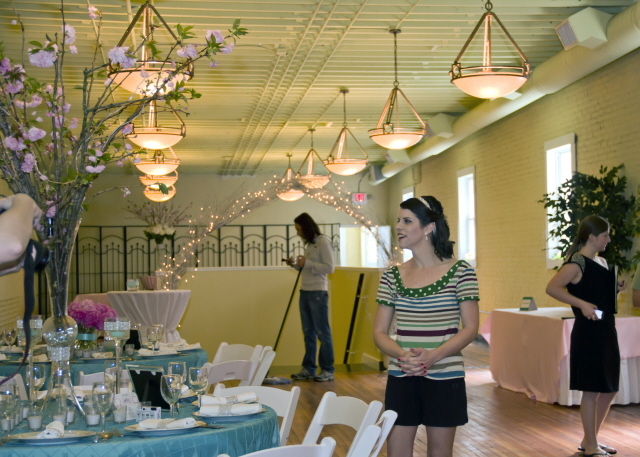 Later, I will write about the amazing venue and the incredible vendors, and will post pictures of the flowers and decor, but today I want to brag a little bit about the two photographers who photographed it. 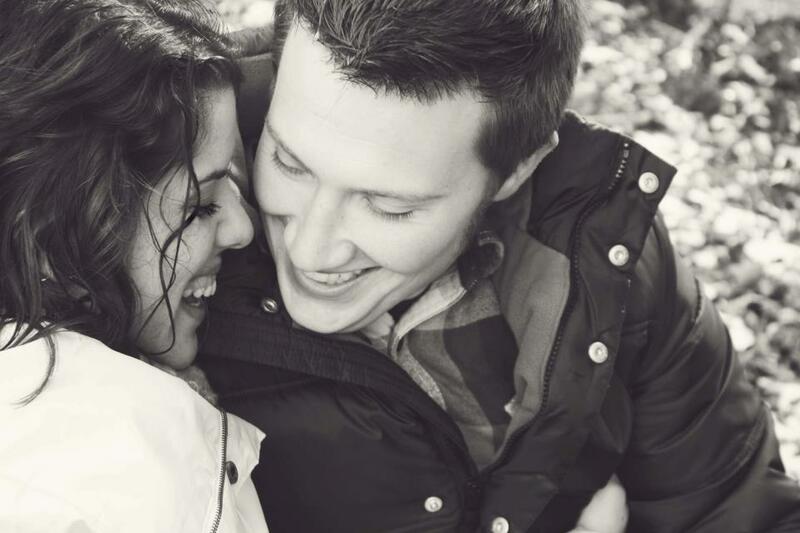 Taylor Morgan, Taylor Morgan Photography, and Becky Artrip, Save-the-Date Photography are among the very best photographers, in my opinion, at capturing the emotion of a moment. They are also wonderful at creative shots. This blog post is to highlight a few of them. Thank you Taylor and Becky for these beautiful, storytelling photos!!! You two are simply the BEST! 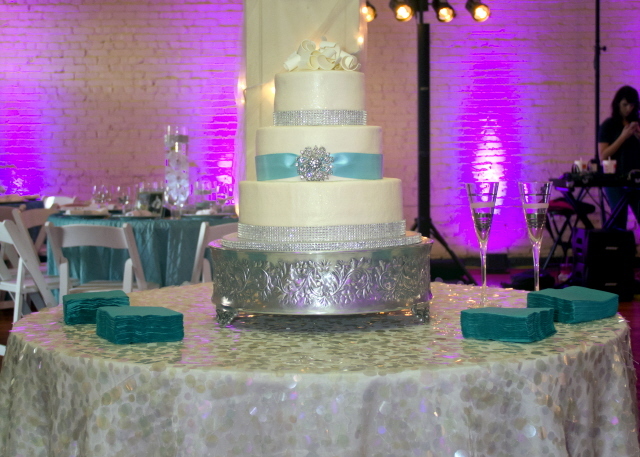 The next post will feature the venue and the vendors, with the gorgeous decor, cake, and other details of the wedding. Please visit again soon. I read all of your comments, so don’t be shy about posting them. Stan Crabtree is an artist who found his true passion the first time he picked up a camera. 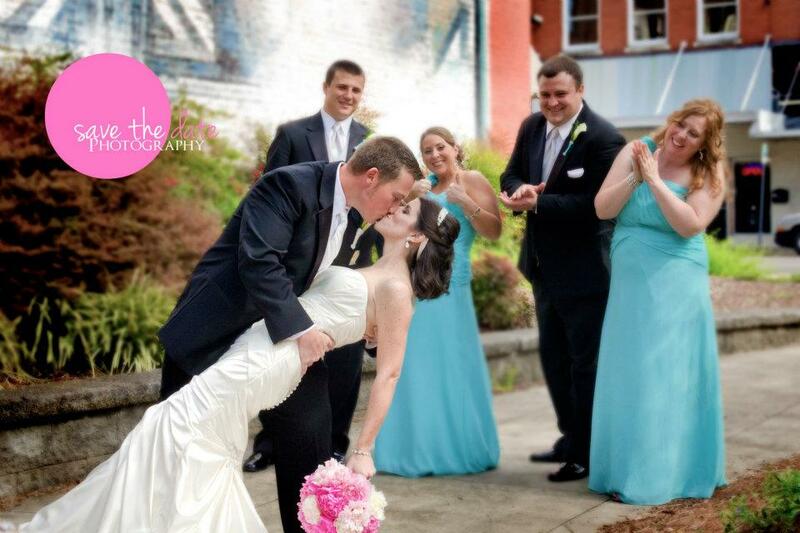 Since he started Crabtree Photography, he has photographed more than 300 weddings. Ever improving his craft and staying current with the trends, he uses some of the best equipment available. He said that when he first started, he made a portfolio of all of his pictures. He took this to all the women he knew and asked for their honest feedback. He received all positive reviews. Of this experience he says, “Just because your friends say they love your work and that you are a good photographer only means that you have good friends.” He is way too modest! I have known Stan for several years. 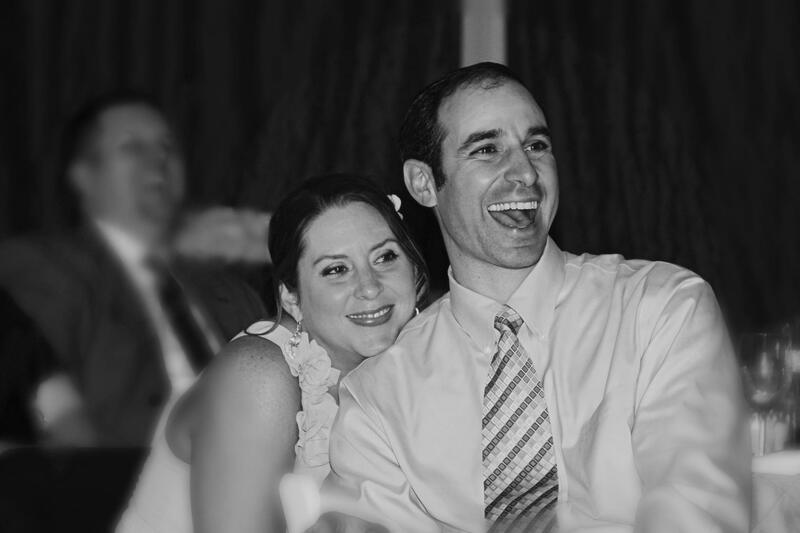 He is a very kind, honest, and caring man, devoted husband and father, and a wedding vendor that I am completely comfortable referring a bride to. He loves what he does, and he is good at it! Stan’s photography is good, no matter what the occasion, but I am particularly impressed with his rural style. He has been generous enough to allow me to share a few of my favorite images on this blog. 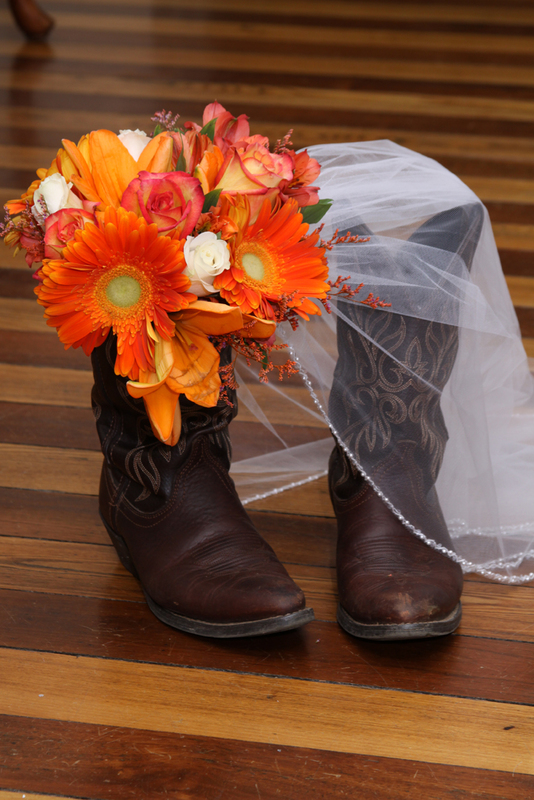 What country wedding would be complete without boots? 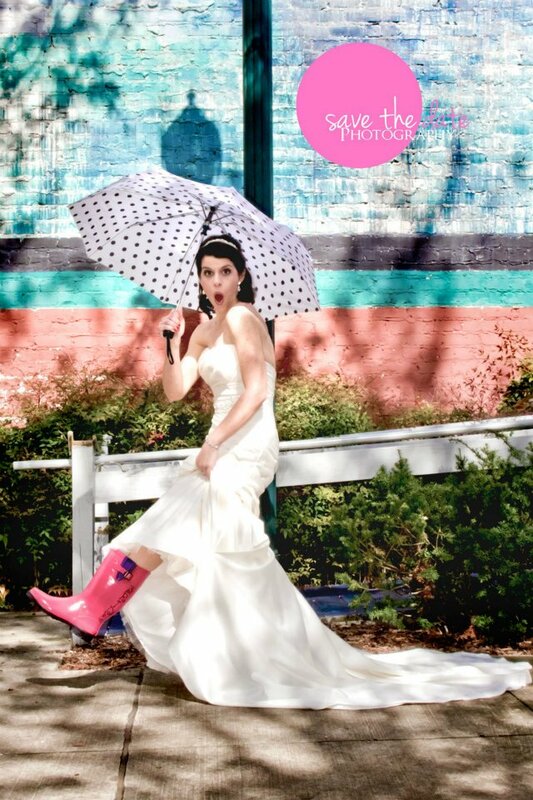 I love this shot of the boots, bouquet, and veil. I am going to pin this on Pinterest…another obsession of mine! Candid shots are my favorite! I wonder what’s going through their heads as they sit and enjoy each others company and the scenery? I think this photo is stunning! 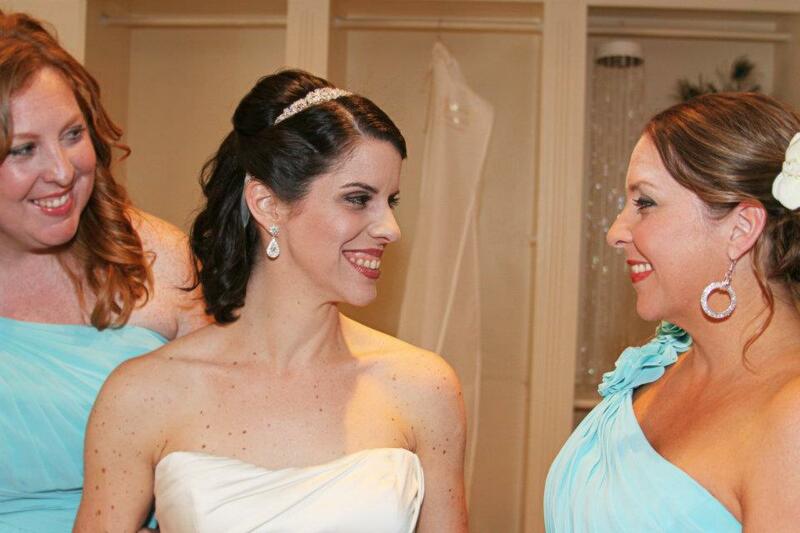 Can you see the reflection of the bride and her bouquet in the mirror across from her? 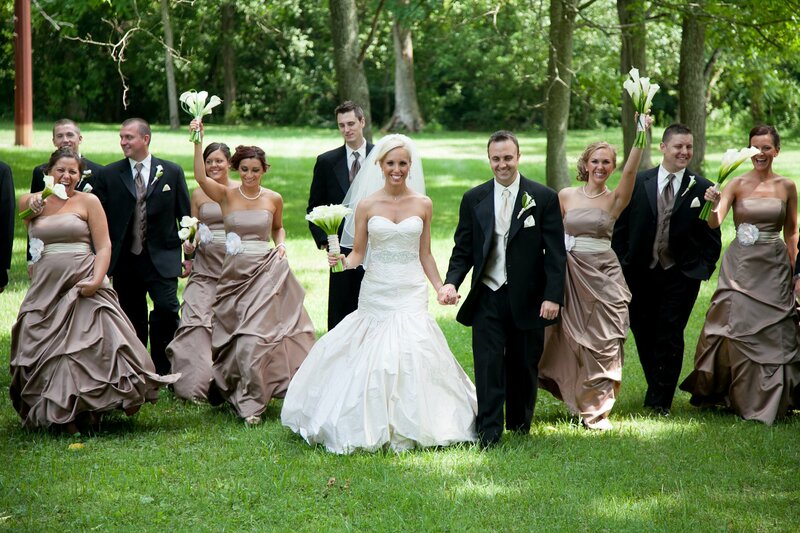 Brides, don’t walk to the phone to call Stan…RUN!!! 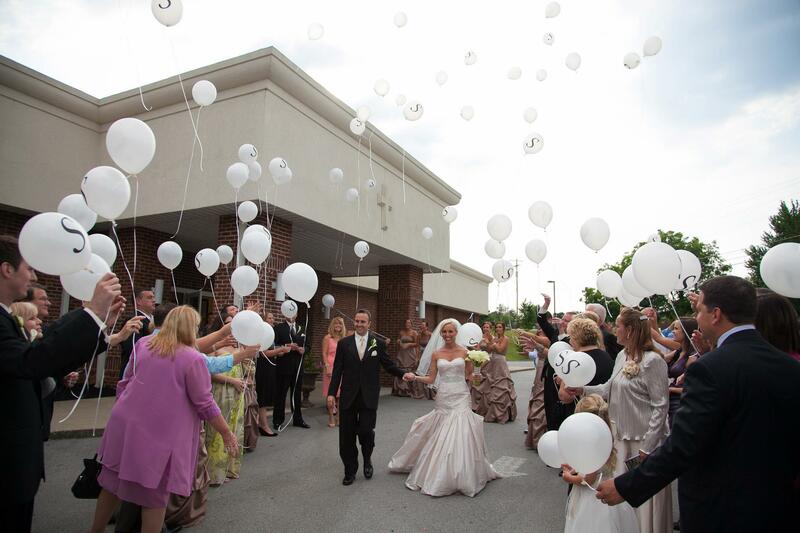 You can trust him with your wedding day and any other special event in your life. 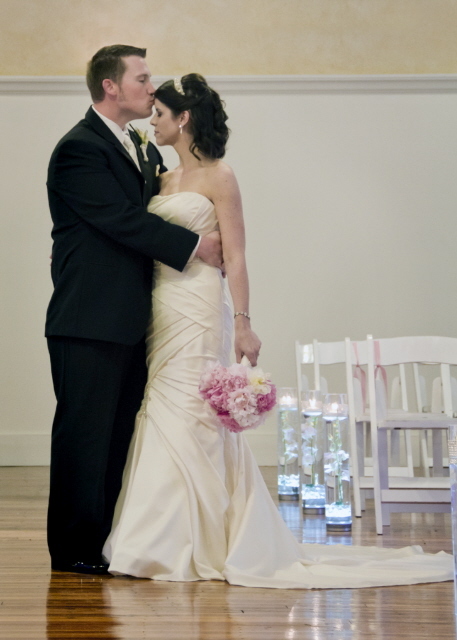 Check out his website, too at Crabtree Photography. 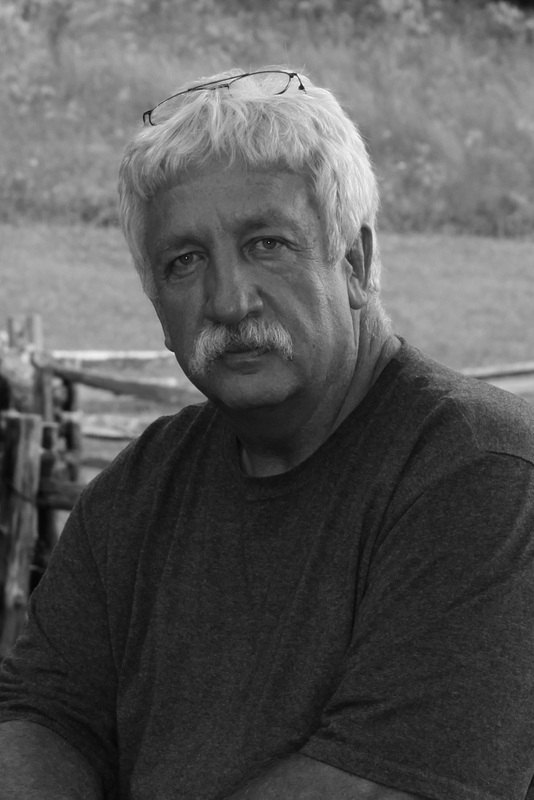 Stan primarily serves the Southwest Virginia and Eastern Tennessee area, but will travel upon request. Thanks for stopping by. I read and appreciate all of your comments, so please post one. Tell all your friends about this blog and encourage them to visit, too. 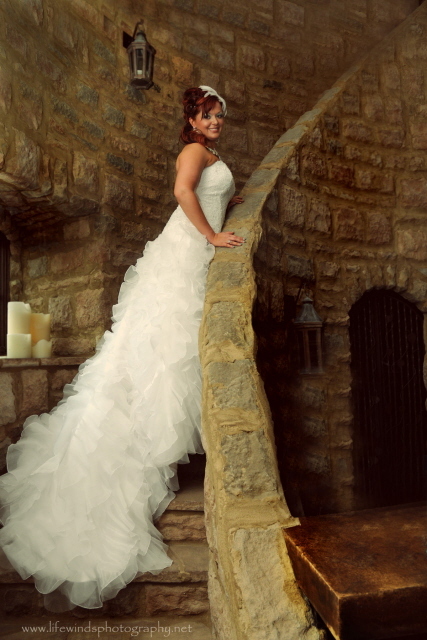 Inside the four-story French Chateau, is a quaint, stone, spiral staircase. Isn’t Metha’s dress amazing? There is a wine cellar beneath the staircase. 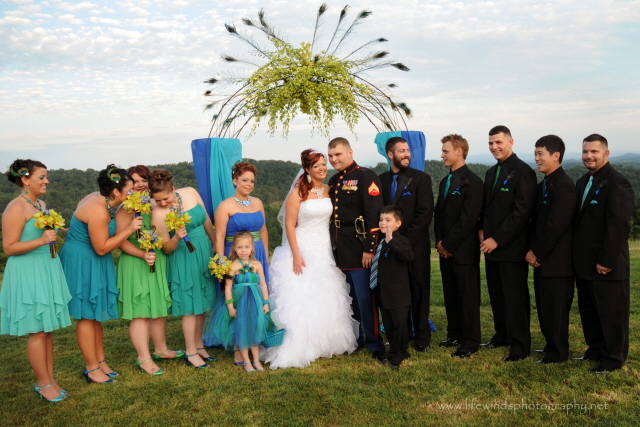 I totally loved working on this wedding. 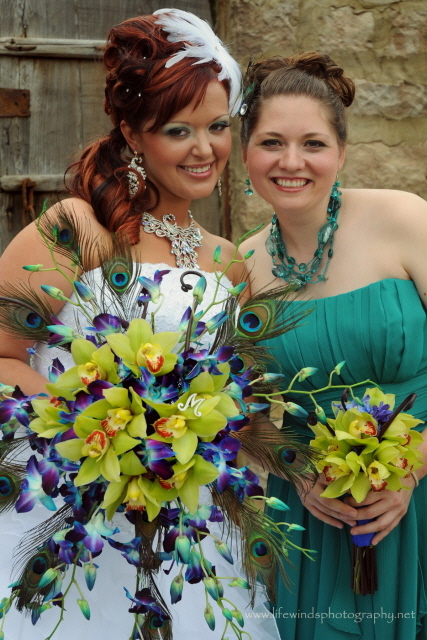 Green Cymbidium Orchids, Blue Bombay Dendrobium Orchids, Fiddlehead Fern Curls, and Peacock feathers made vibrant display in the bouquets. 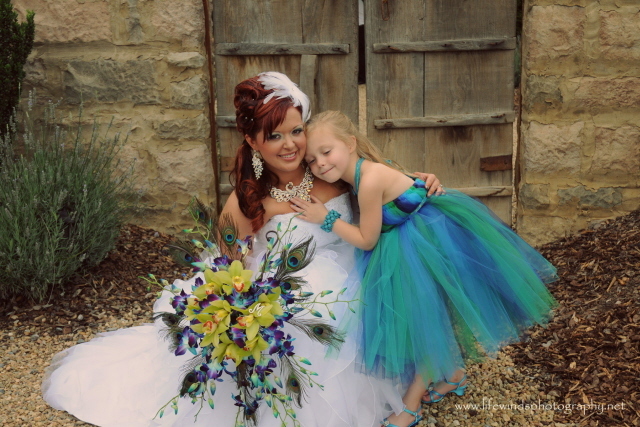 Isn’t this flower girl’s dress adorable? It’s all just a little bit exotic, don’t you think? Check out this spectacular view of the mountains. There are several fire pits on the property. You can see one in the picture below, in the right hand corner. How about this special guest? He looks like he belongs there. It looks real, but it is metal. 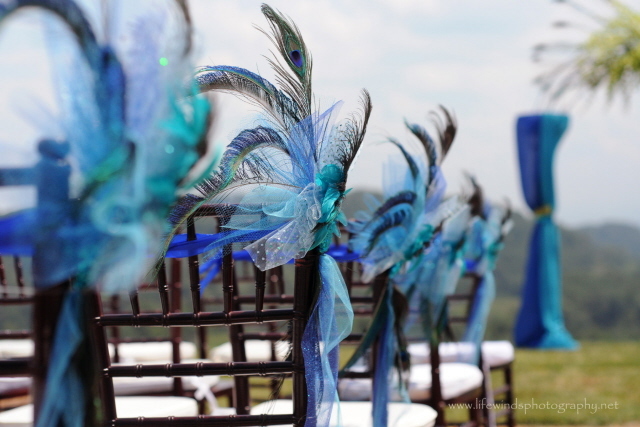 The fascinators from the Royal Wedding inspired these one-of-a-kind aisle markers. 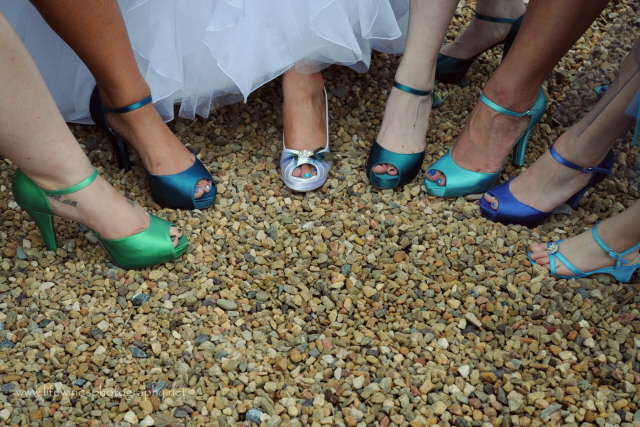 The bridesmaids wore different colors. 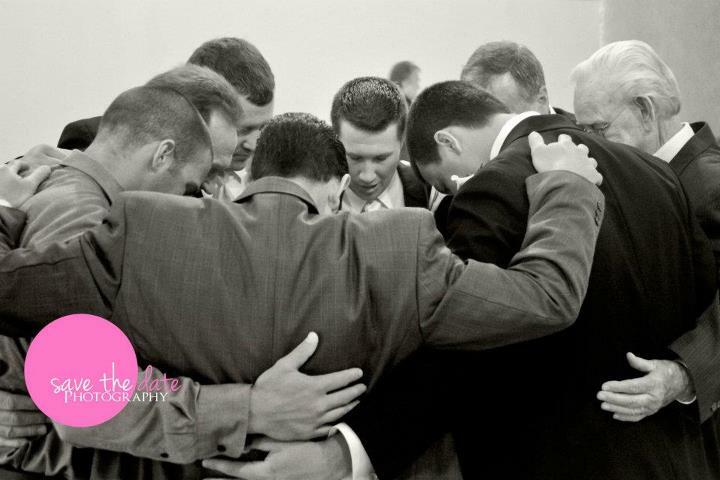 The groomsmen’s ties matched their dresses. How about these shoes! Can you pick a favorite? 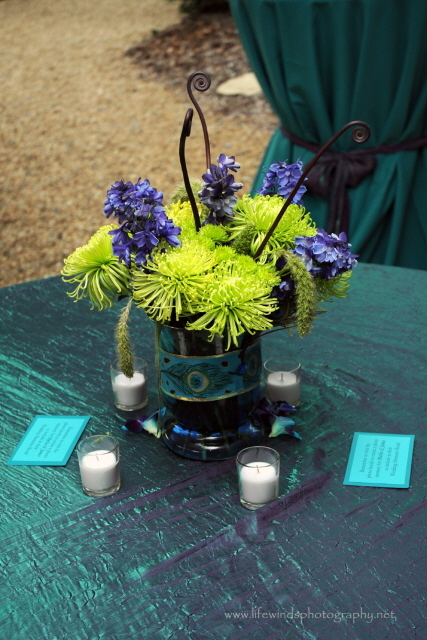 The theme was carried forward to the reception. 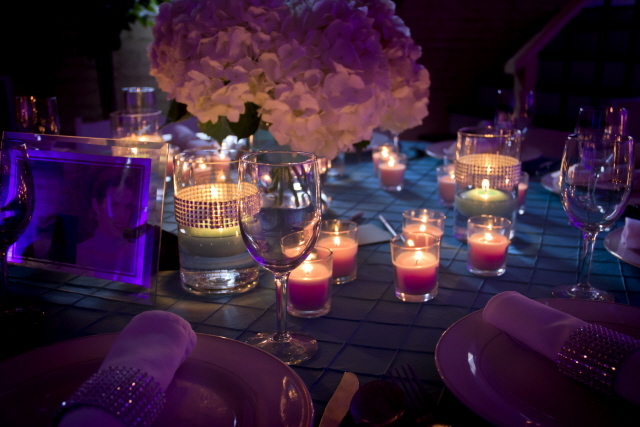 These shimmer linens complimented the centerpieces. Isn’t that Fiddlehead Fern Curl fun? Pier 1 had all the decorative accessories we needed to complete the look. I couldn’t pass up the large vases. I found these little mirrors there, too. 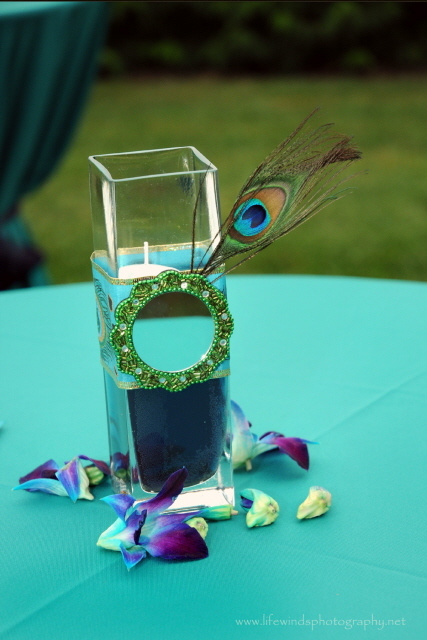 We used these on the cocktail tables. 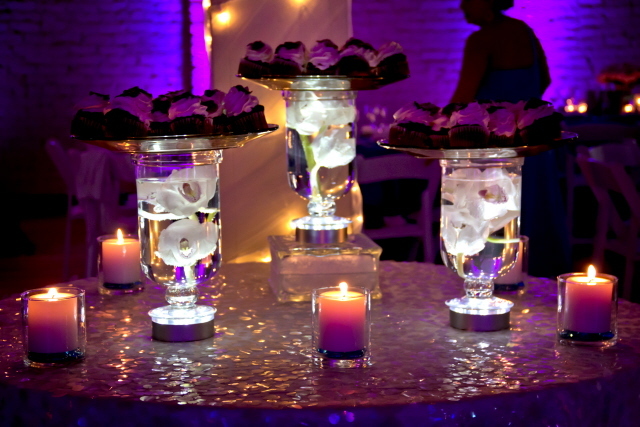 I found the placemats, napkin rings, and votive holders for the bride and groom’s sweetheart table at Pier 1 also. I might have gone a little crazy at Pier 1. 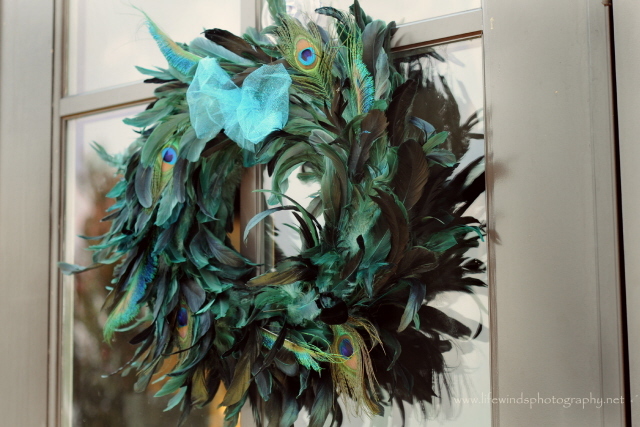 I went there to purchase this peacock feather wreath that Metha wanted. I came out with a whole lot more than that! 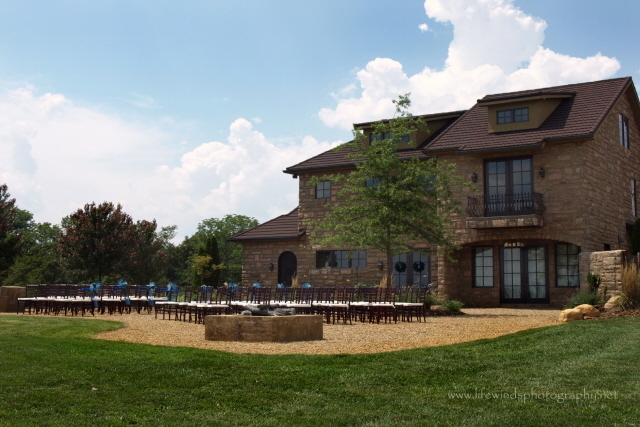 Chateau Selah is as breathtaking inside as it is outside. It boasts a catering kitchen, complete with a dumb-waiter. There are two bedrooms on the second floor for the attendants and bride to get dressed, and a media room for the groom and groomsmen. 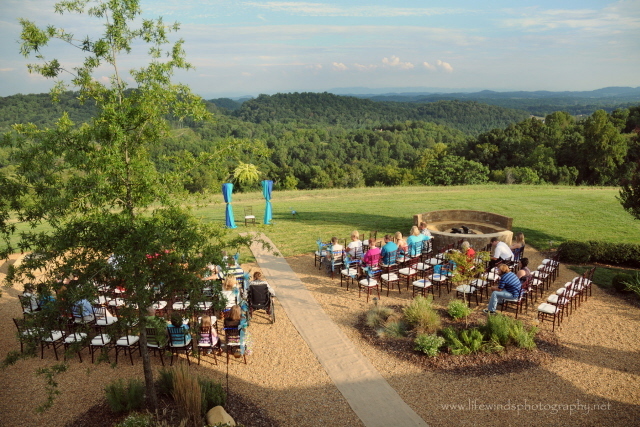 The outdoor kitchen and fireplace are a bonus, and are fabulous for a rehearsal dinner cookout. The biggest surprise is the honeymoon suite on the fourth floor. If it were rated, I would give it ten stars! 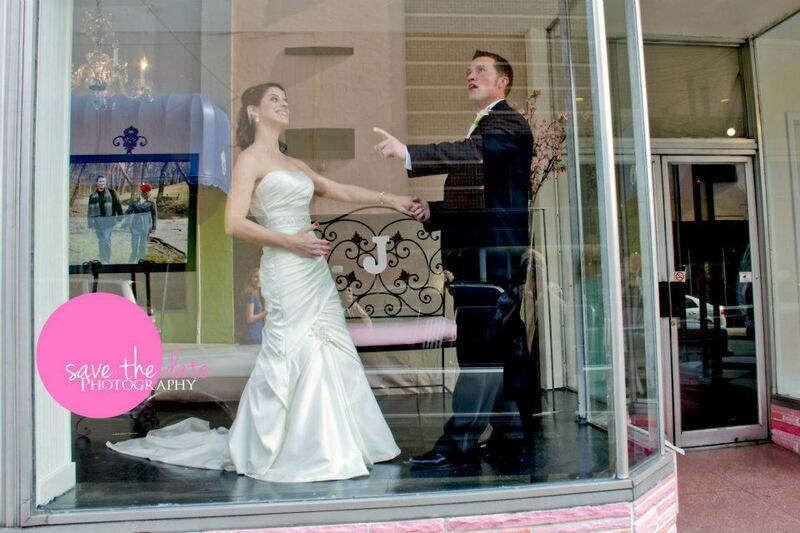 The walk-in shower could fit the entire bridal party…not that you would want to do that! HA! Seriously, it is absolutely beyond your wildest imagination. There are balconies, a soaking tub, a huge bed with a ruffled comforter, and a flat screen TV. It has all the amenities you could ask for. 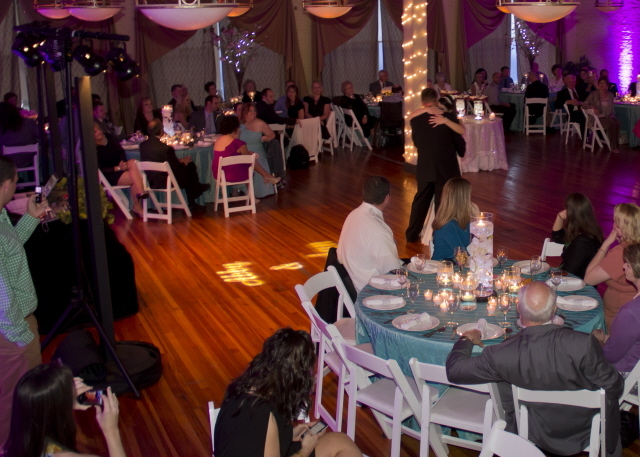 If you are looking for that extraordinary venue, this place has it all. 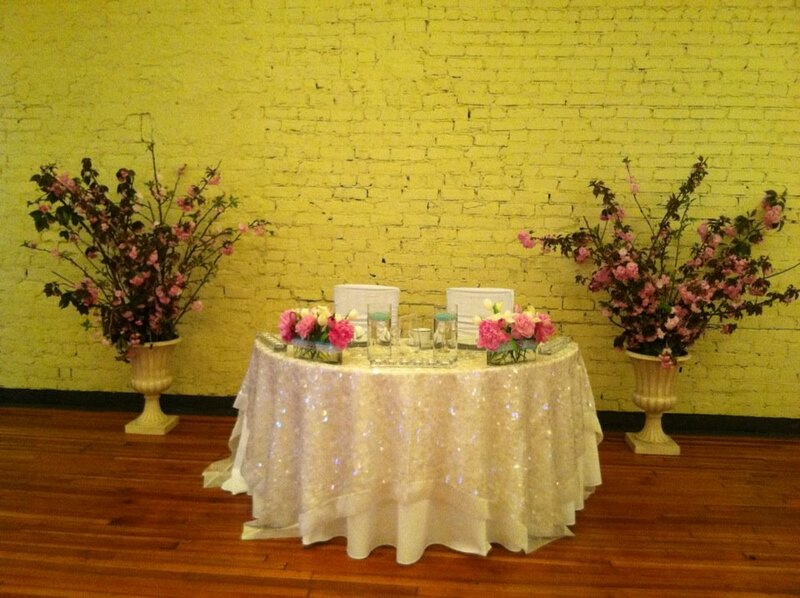 Contact them at 423.323.3157, or info@chateauselah.com. 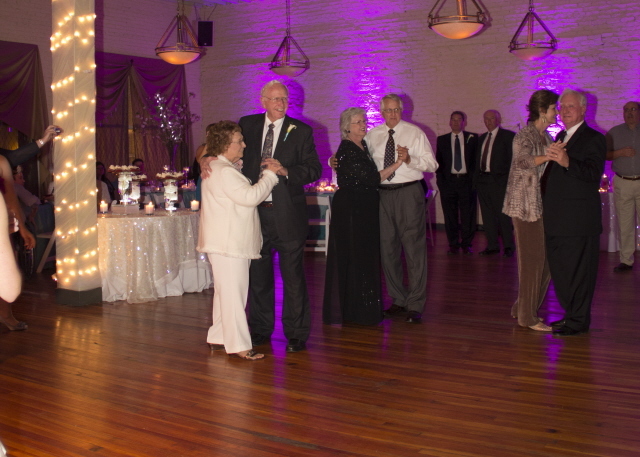 To see more pictures from this and other of our weddings, visit our website at Pamela’s Event Design. Thanks for stopping by. Please take time to leave a comment. I read all of them, and I would like to get to know you. I’ve known Taylor Morgan for about ten years. She is a beautiful person, inside and out. She’s generous, kind, compassionate, and has a heart as big as Texas, where she was born and raised. Along with being a favorite on-air personality on WTFM 98.5. Taylor maximizes her platform with the radio program to reach out and help those in need and raises awareness for many worthy causes. Thousands of lives have been touched and impacted by Taylor. She is just an all-round awesome person! Adding to her many talents and abilities, Taylor excels in photography. 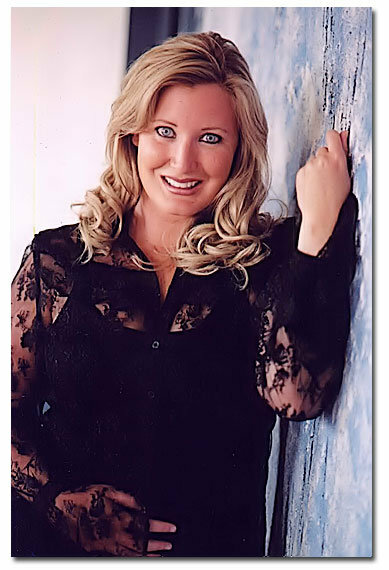 As the owner of Taylor Morgan Photography, she specializes in family photography and weddings. I could spend hours looking at her pictures. What is special about her photography is her eye for capturing emotion. Her photos tell a story! 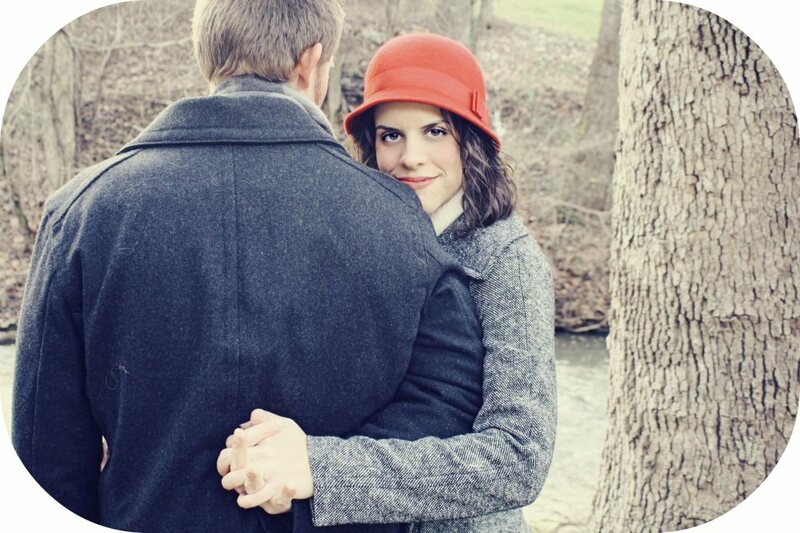 So, when it came to trusting someone to take my daughter’s engagement and wedding pictures, she was my first choice. 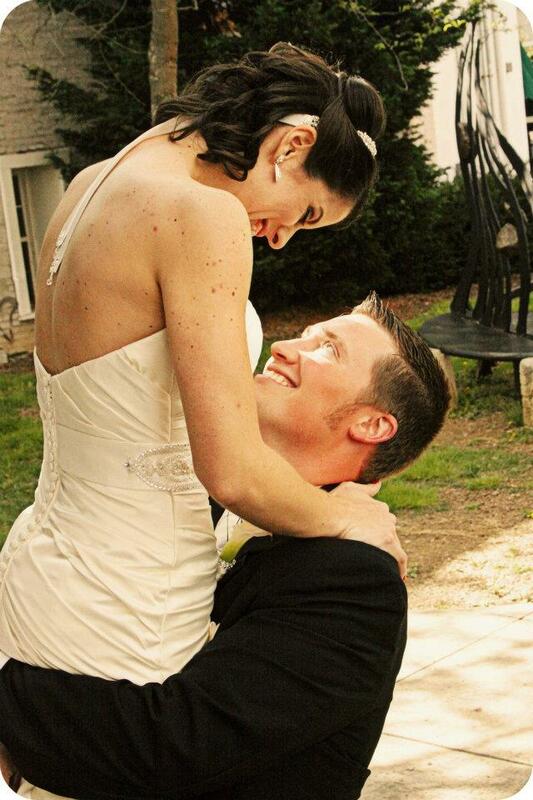 I was so happy when Abby and Jordan decided that she would be their choice, too. Okay, I must confess…Taylor is also my niece!!! Nepotism aside, she quite simply ROCKS! It’s January, which means it is winter in Tennessee. Finding a day that is warm enough to take pictures outdoors was a challenge. 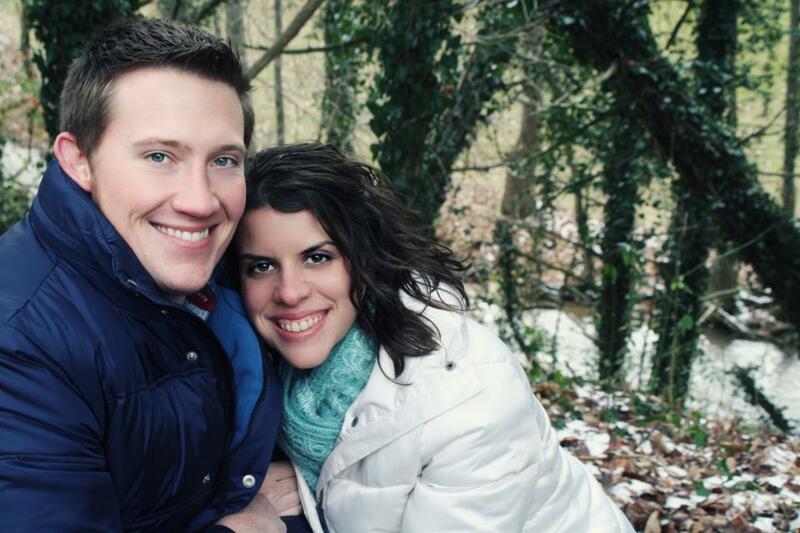 These “trial” engagement session images turned out so well, that an additional session wasn’t necessary. What do you think? Which one is your favorite? I can’t choose a favorite! They are all good. Taylor took about 500 shots, so to choose one or two from so many fabulous images is impossible! Thank you, Taylor, for creating these memories for my children, family, and me! You are awesome! 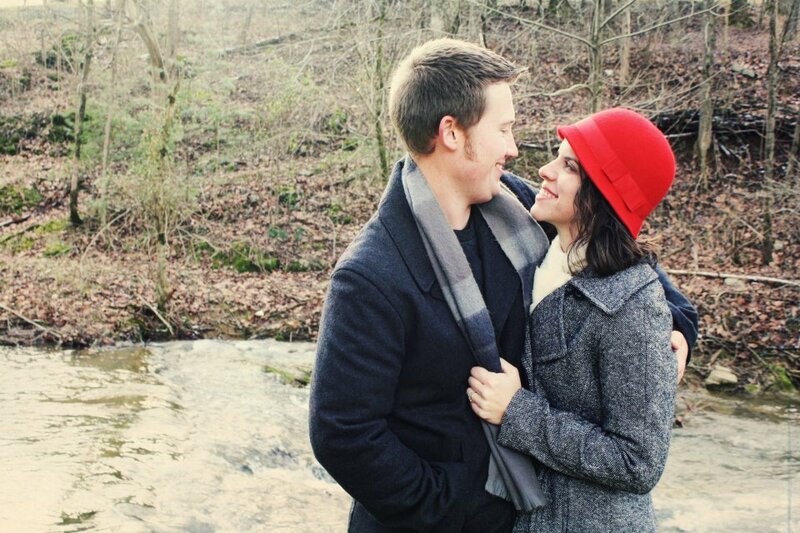 You can contact Taylor for your photography session through Facebook, or by calling 423.367.2055. 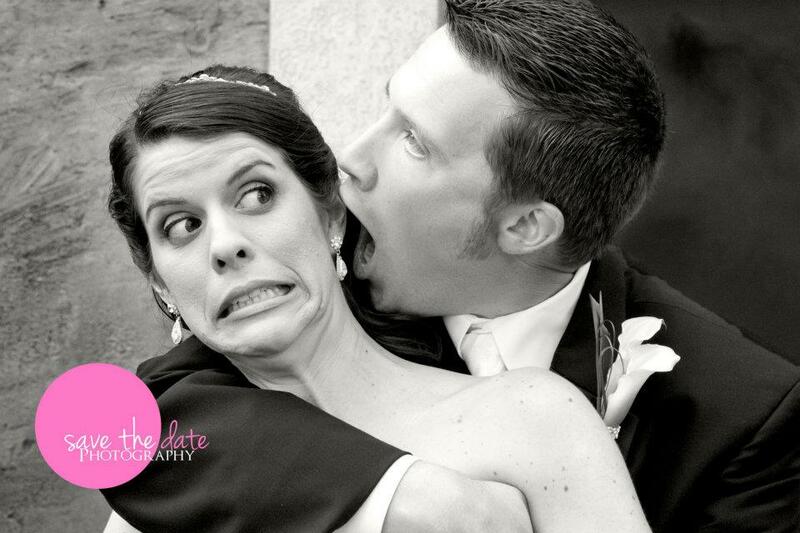 This post is the first in a series of wedding photographers that, in my opinion, some of the best. They are talented and easy to work with. Check back soon to read about another talented photographer from the Sunshine State of Florida! Thanks for stopping by! Please leave a comment and let me know you were here. I read all of them. To visit my website, click on my picture.